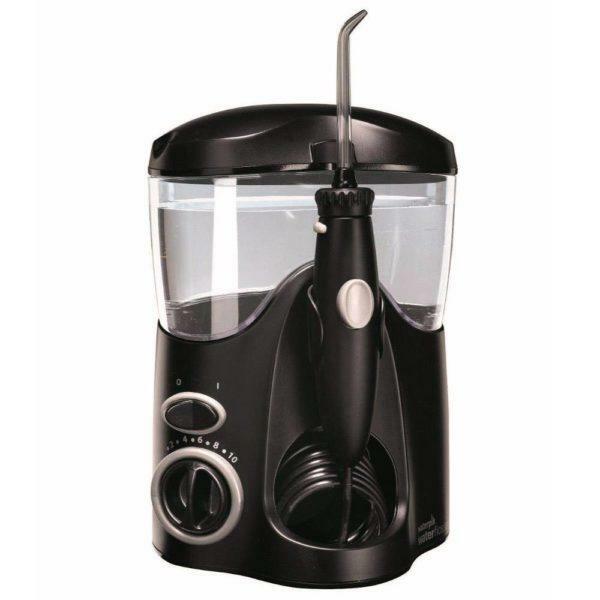 In stylish satin black, the WP-112E2 Ultra Water Flosser is the ultimate in water flossing performance. 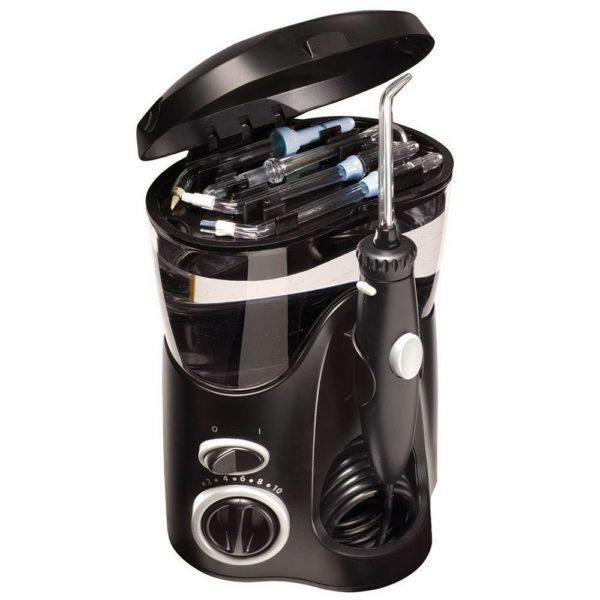 It features 10 pressure settings for optimum control. The contemporary design is compact with a covered reservoir to keep out dust and debris. Six unique tips are stored in the unique undercover compartment in the lid of the reservoir. Read more. 2x Classic Jet Tips – general use. Toothbrush Tip – general use. Plaque Seeker® Tip – implants, bridges, crowns and general use. Orthodontic Tip – braces and general use. 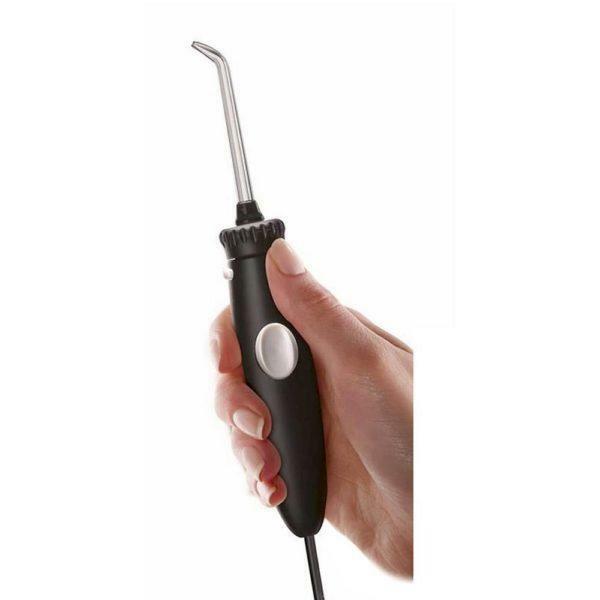 Pik Pocket™ Tip – periodontal pockets and furcations. 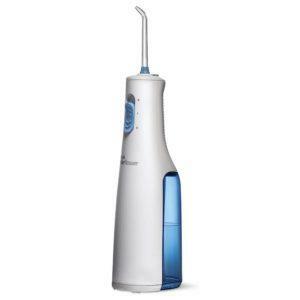 Waterpik® Water Flossers are clinically proven to be more effective than traditional dental floss for reducing plaque, gingivitis, and gum disease. It’s perfect for anyone with braces or implants, and those with crowns, bridges, and veneers. 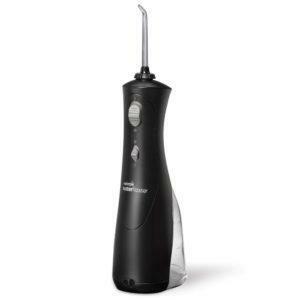 Tips can rotate 360 degrees to reach all areas of the mouth. Easily change the tip with the quick release eject button. 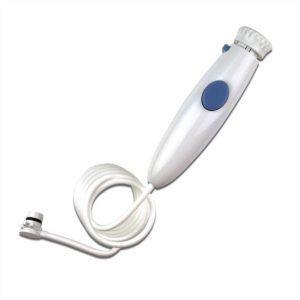 Pause water flow conveniently with the pause button on the ergonomic handle. On/Off switch with easy fingertip control.